The Fuji Five Lakes (富士五湖, Fujigoko) which consist of Yamada Lake, Saiko Lake, Motosu Lake, Motosu Lake, Shoji Lake, and Kawaguchi Lake is an arc region that lies at the northern foot of Mt. Fuji. The area provides a good spot to view Mt. Fuji from a close distance and it is also one of the best places to enjoy the autumn colors. During our visit, the autumn colors at Lake Kawaguchiko, which is the most popular and most accessible lake, were at their peak, although still at the early stage. Red, yellow and orange trees surround the lake creating a gorgeous canvas of colors. 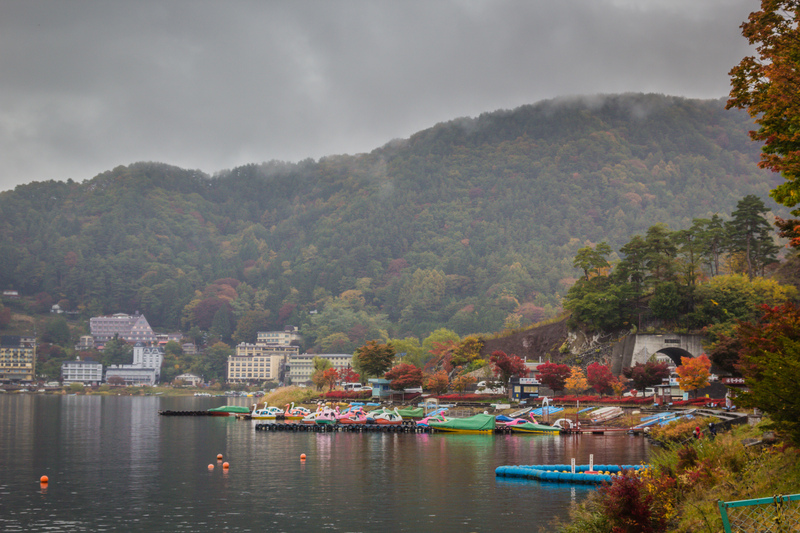 The colorful trees matches the colorful boats on the coast of Lake Kawaguchiko.